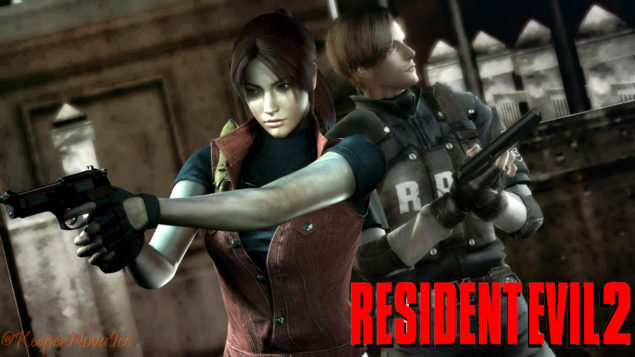 In a recent investor report shared by Capcom, a mistranslation mentioned that the Resident Evil 2 Remake would actually have been a remaster. However, Stuart Turner (Capcom UK’s Senior Marketing Director) confirmed via Twitter that it will not be the case. Thank you for your great support on this Resident Evil 2 Remake project. Thanks to your incredible passion and support, the project has finally been approved for development! Thank you very much again! As you can see here, “We Do It”! You’ve been telling us for years that you want Resident Evil 2 to be remade, and we haven’t been able to make it happen…until now! We at R&D Division 1 will do our best to take on your feedback and deliver the gameplay experience you’ve been waiting for. Just as I’ve been reaching out to you about the project via Facebook in the last few days, we will try to deliver news and messages about this project to you, the fans, directly. It will be some time before we can bring you an update on this project, but in the meantime, you can look forward to lots of exciting things from the Resident Evil brand in the future, such as the upcoming HD remaster of Resident Evil 0. There currently isn’t any solid information on the Resident Evil 2 Remake, but we’ll make sure to report the first details as they are shared by Capcom. Resident Evil 0 HD Remaster, on the other hand, should be available in early 2016 for PC, PlayStation 3, PlayStation 4, Xbox 360 and Xbox One.